Dictator Donald Trump (DDT) plans a coup in Venezuela and contemplates his next government shutdown in less than three weeks. Treasury Secretary Steve Mnuchin favors friends who financially benefited him by lifting sanctions on Russian oligarchs and Vladimir Putin who helped DDT get elected in 2016. Bill Barr hopes to be the next DOJ AG so that he can protect DDT from his legal problems emanating from his corruption. GOP legislators ridicule the idea of “global warming” because they can’t tell the difference between weather and climate. In the past year, the United States lost four points in the Corruption Perceptions Index, dropping to a score of 71, and moving down to # in the world. Full democracies averaged 75 on the corruption index, flawed democracies averaged 49, and autocratic regimes averaged 30. Since 2012, only 20 countries improved their scores, some of them staying in the area of autocracies, and 16 declined, including Chile which dropped from 72 to 67. The U.S. is now 22 out of 180 nations. I’ve often heard the two best days in a boat owner’s life are the day they bought the boat and the day they sold it. I don’t know how true this is, so I have another fish story for you. Whether you’re fly fishing, baitcasting or spinning, our Yaquina River is a popular place to play. Among the edible fish you might expect to catch are bass, chinook, steelhead, cabezon, perch, rockfish, greenling, salmon, sturgeon, herring and crab. And a real slime-ball called hagfish. When you pick these little suckers up, they secrete snotty slime any time they feel threatened. Mixed in with water the slime quickly turns it into a sticky, thick gel. 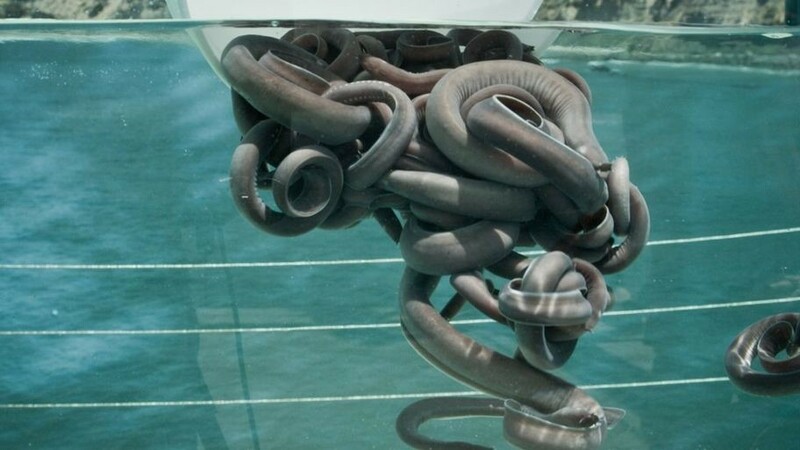 The hagfish can clean itself by simply tying itself into a knot, scraping the slime away as it twists from the head to its tail. Considered one of the ugliest of sea animals, the hagfish has an eel body, no skeleton except for a skull, up to 14 pairs of gill pores, five hearts, strong jaws with sharp teeth, and a stomach. They are scaleless and blind. Traced back to the Paleozoic era, the evolving era of fish, it is a scavenger found mostly on soft mud bottoms and is caught using rakes and plastic baited traps. Their unusual feeding habits and their slime-producing abilities have led scientists to recognize them as the most ‘disgusting’ of all sea creatures. Yet these ugly creatures and their eggs are a big delicacy in Japan and other Asian countries. Koreans even consider the hagfish an aphrodisiac. 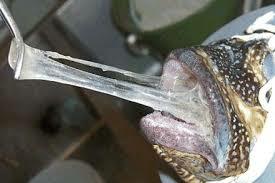 I understand that hagfish slime is pure protein and could be a great substitute for eggs. Anybody for scrambled? Not to put too strong a point on it, I really think grilled hagfish would be the ickiest food I’d never put in my mouth. But, some say, all things that swim are edible unless proven otherwise. In other practical areas, hagfish skin is processed into various leather goods and sold throughout the world. 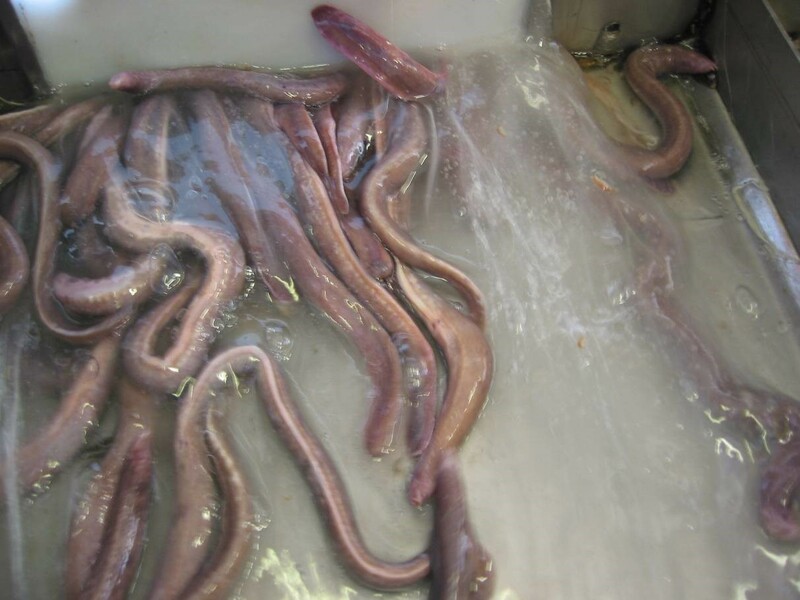 Research into hagfish slime is investigating possible hagfish uses in biodegradable polymers, space-filling gels – even a means of stopping blood flow in accident victims and surgery, ballistics protection, firefighting, anti-fouling, diver protection, and anti-shark spray. The tough, stretchy fibers can also be used for fabric. Hard to think about wearing fish, especially knowing it’s slimy snot. My fish story, super-starring our very own hagfish, would have me selling my boat, too. 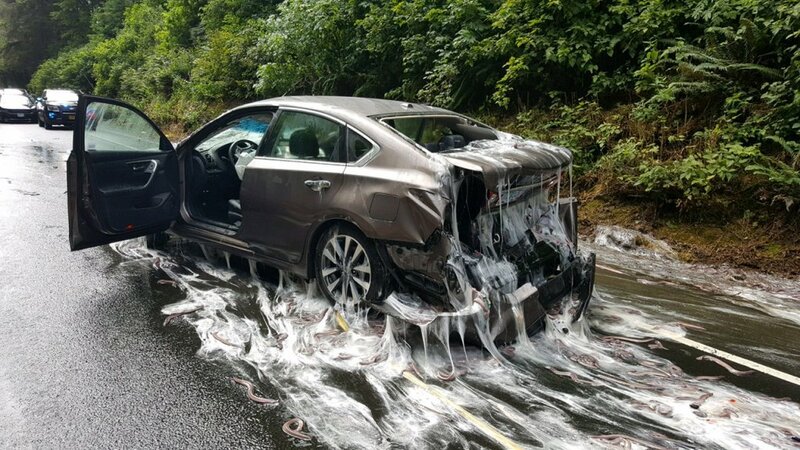 On July 14, 2017, a truck full of hagfish destined for South Korea overturned on Oregon Highway 101, strewing the animals across a stretch of highway, covering the road and an unfortunate car in slime. It was funny at the time. Unless it was your car.